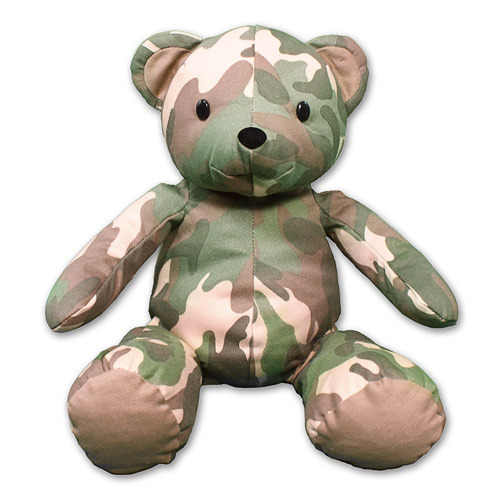 Camo Heart Teddy Bear - 12"
Whether they’re near or far, let your military true love know how much they mean to with our Plush Camo Teddy Bear. 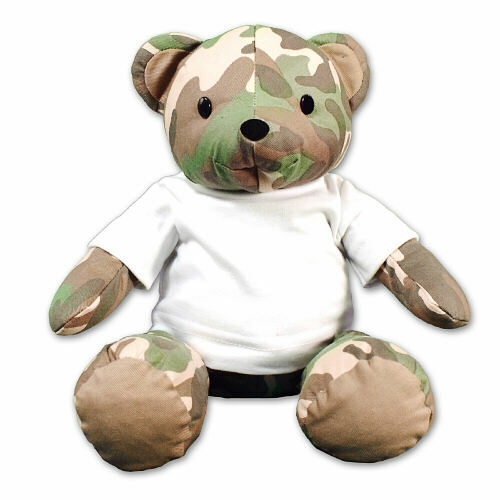 Not only does this unique teddy bear show your love, but it pays tribute to your favorite US Armed Service Hero. This romantic camouflage heart design is featured on our “My Hero Wears Camo” Teddy Bear. Measuring 12” tall and includes free personalization of any design and custom message. Free Gift Wrapping and a Free Gift Card are included to create a thoughtful presentation.